The U.S. Department of Labor’s new rules require employers to pay overtime wages if their salaried employees making less than $47,500 are required to work more than 40 hours in a week. This provoked concerted protests and lobbying by a vast array of low-wage employers in fields including retail, home healthcare, and sanitation. 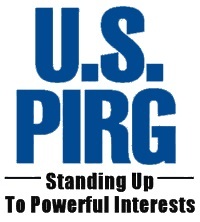 The same website that included the protest features a new position in Boston to reform the United States national transportation system, the U.S. PIRG Transportation Fellow. Reforming just the $400 billion in government transportation expenditures per year would be a really big job, but in this case they are planning to pay their transportation “fellow” $25,500 in the first year and $27,000 in the second year. Mr. or Ms. Transportation Fellow might well wish for a $15 minimum wage, which would represent a substantial raise in pay, but there is no sign that U.S. PIRG has taken a position on increasing the minimum wage. The logic of the rule, as applied to non-profit, cause-oriented organizations, makes no sense. A person of means—in service of a cause to which they feel deeply committed—can volunteer to work for our organization for free for as many hours as they wish, but a person of lesser means—who is no less committed to the work we do—cannot agree to work for our organization for less than $47,476 without having their work hours strictly limited in order to keep our costs affordable. This raises First Amendment concerns. Clearly, no nonprofit organization seeks to be a substandard employer or to exploit the people they hire. However, some long-standing financial models for nonprofits have relied upon low-wage workers not being compensated for their overtime. The new DOL rules represent a timely call for a different way of doing business, and 21st-century HR practices for organizations with flexible finances like the PIRGs. Admittedly, the degree of control over the organization’s budget is very different for some types of nonprofits, such as providers of services for people with intellectual and developmental disabilities, including overnight workers. The Department of Labor’s new rules on Overtime Exemption provide a 34-month delay in department enforcement for residential providers, an important recognition that the rule posed unique problems for organizations that rely almost exclusively on Medicaid to provide services to some of our most vulnerable citizens. That allows Congress and Medicaid administrators 34 months to adjust reimbursement rates to the range of adequate compensation, no doubt requiring a major advocacy campaign. Many other organizations will face a challenging adjustment, including businesses, government employers, and nonprofits. It is the duty of each board member and manager to comply with employment laws and to handle their organization’s finances in a prudent and sustainable manner. There is no economic reason why people in the nonprofit sector should be paid less than others in the economy doing the same or similar work. For nonprofits with missions to build a healthy, cooperative, and just society, this targeted change in employment law should be supported, not complained about.